A Touch Too Much, a book written and produced to help children understand what is a safe touch. 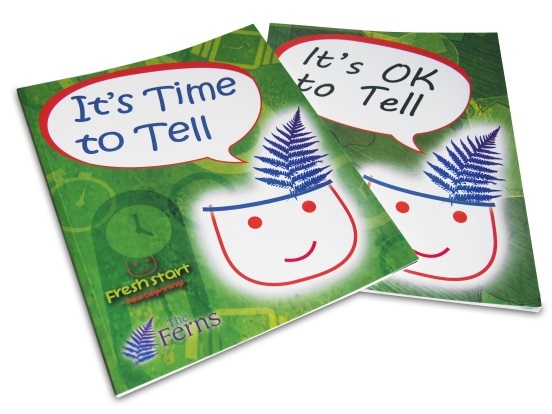 Written in a style that parents/carers can share with their children, the book aims to help children know who to tell if someone has touched them or made them feel uncomfortable. This book is aimed at children aged 6-11 years who have been or are being sexually abused and have yet to disclose. It is hoped it will make clear what sexual abuse is, how to tell and take away the fear of what will happen next by showing the process. This book is aimed at young people aged 12-16 years who have been or are being sexually abused and have yet to disclose. It is hoped it will make clear what sexual abuse is, how to tell and take away the fear of what will happen next by showing the process.